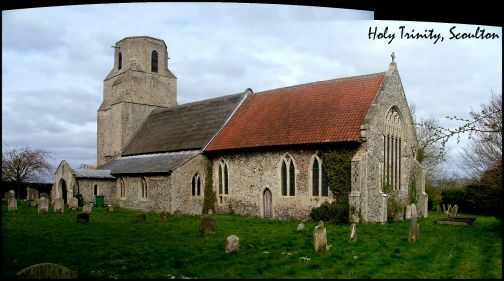 This beautiful church is set not far from the main Norwich to Watton road, but the churchyard is hedged in and so beautiful that you might be miles from anywhere. On this spring day it was one of the loveliest places we visited. 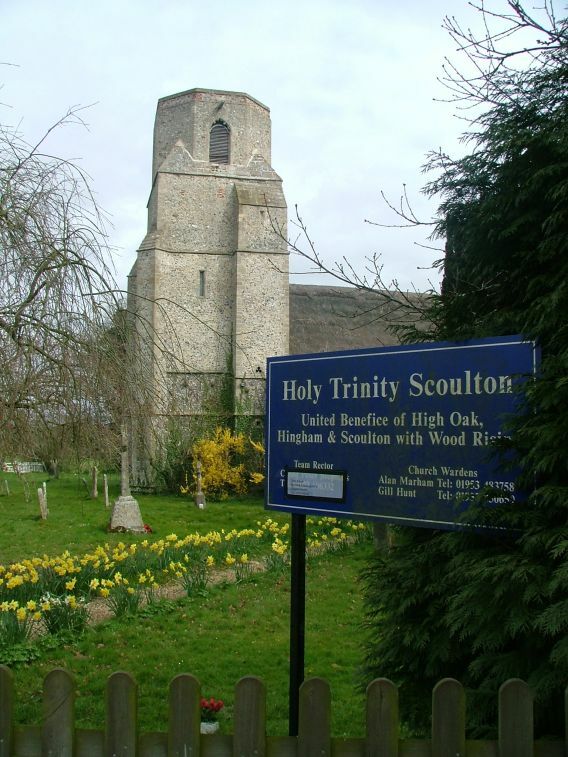 Holy Trinity sprawls like a contented lion in the middle of the graveyard, its unusual unfinished tower just short of being crowned with a spire. 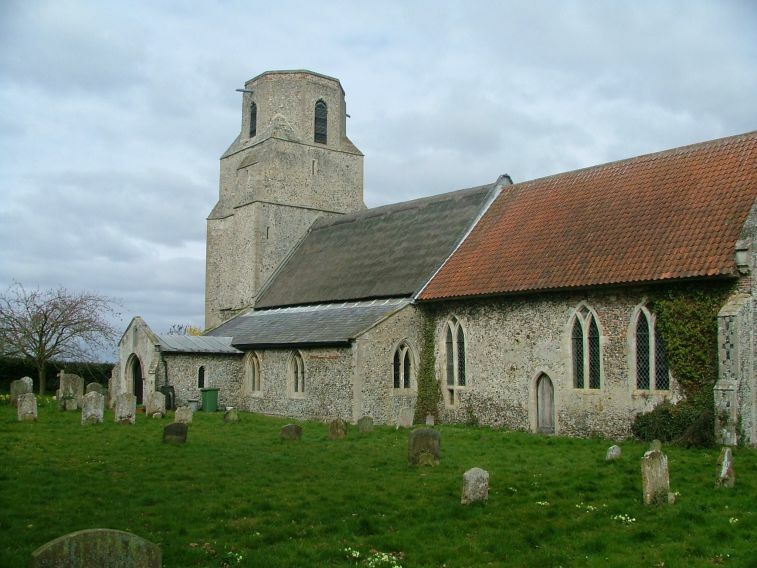 It may well be that changing economic fortunes in the years after the Black Death carried off half of Norfolk's population may have put paid to that. 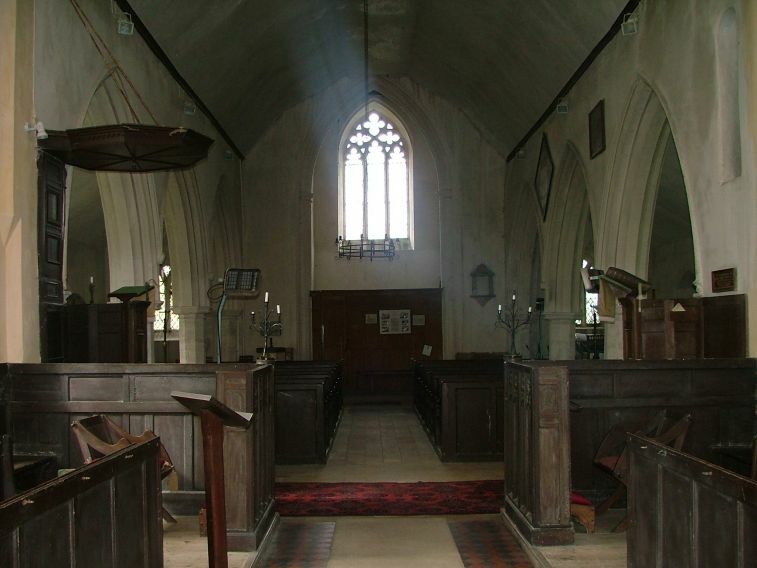 The nave is thatched, the aisles have slate roofs and the chancel has tiles. How unusual to see three different materials on the one building. 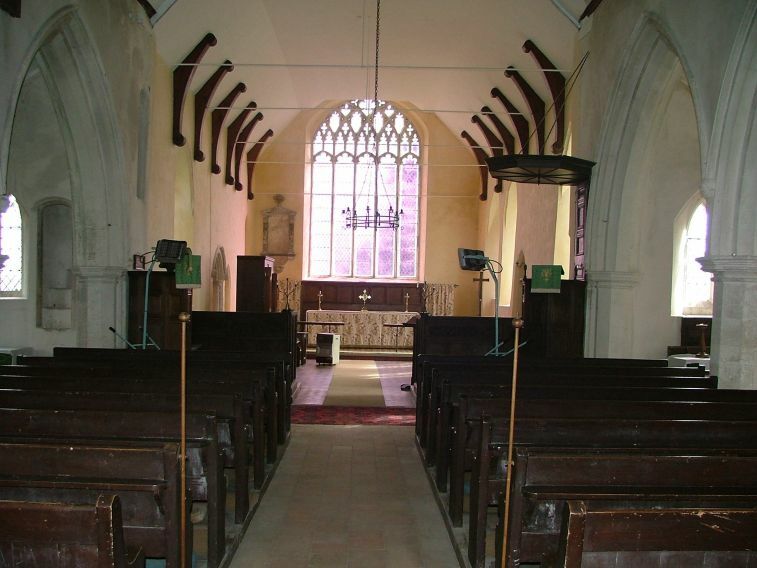 There are aisles to north and south, but no chancel, creating the impression of a wide, low structure. The windows about are all late 13th or early 14th century, all filled with clear glass, and this gives the interior of the church a very special atmosphere from the moment you open the south door, which is old too. On this sunny day we stepped into a wide, square, light space, motes of dust falling through the air. It was like stepping back in time. 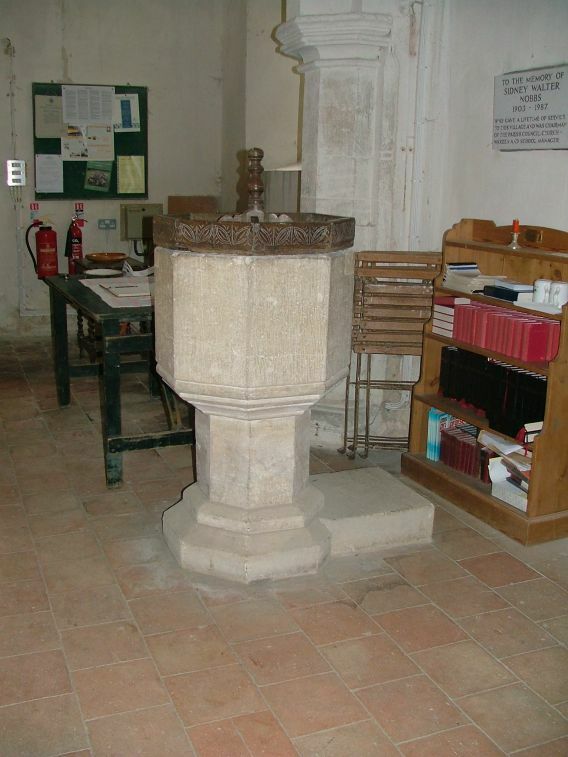 The nave itself has a collection of 19th century benches, but the font cover and pulpit on the south side are older, probably 17th century. 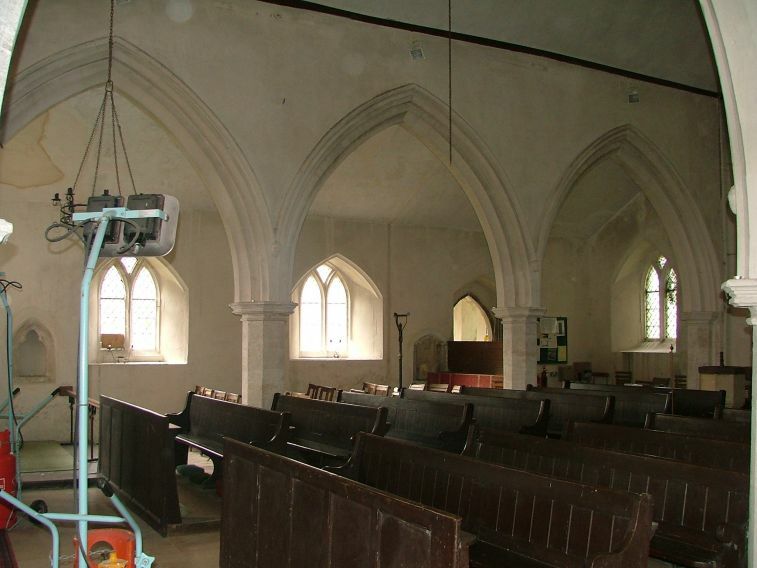 The pulpit on the north side is a modern copy of the old one, and it seemed most unusual to see the two together. 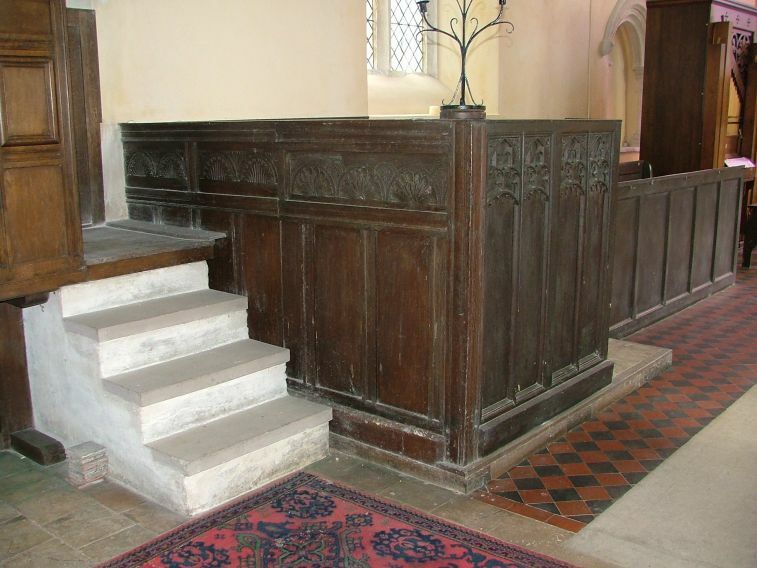 Jacobean panelling has been set behind the pulpits to form kind of low screen, which turns eastward at the entrance to the chancel. They create an effect something between box pews and return stalls, although in fact there is no attached seating on the eastern side. 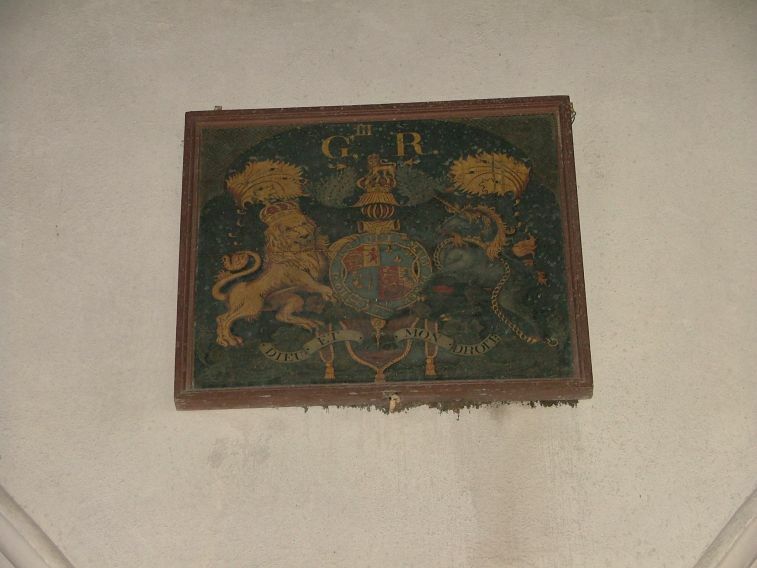 I wonder if it might actually be in its original place rather than a modern resetting from elsewhere. If you like puzzles, there is a good one in the north wall of the chancel, behind the organ. 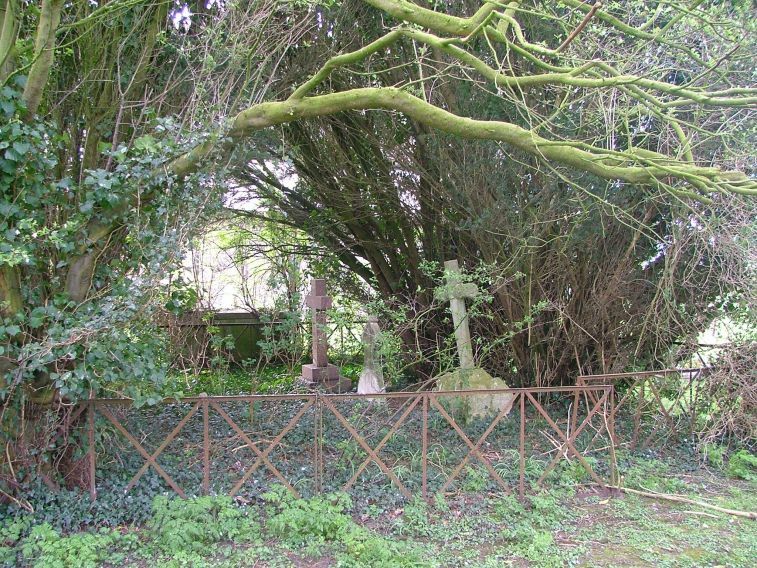 Here, you will find the recess of an Easter Sepulchre, but in its shelf are five deep hollows, holes about 10cm across and 15cm deep. Cautley thought they might be for cresset lights, devotional candles made by floating a wick in oil; but as Mortlock points out, the holes are much too large, they would take almost a pint of oil each. 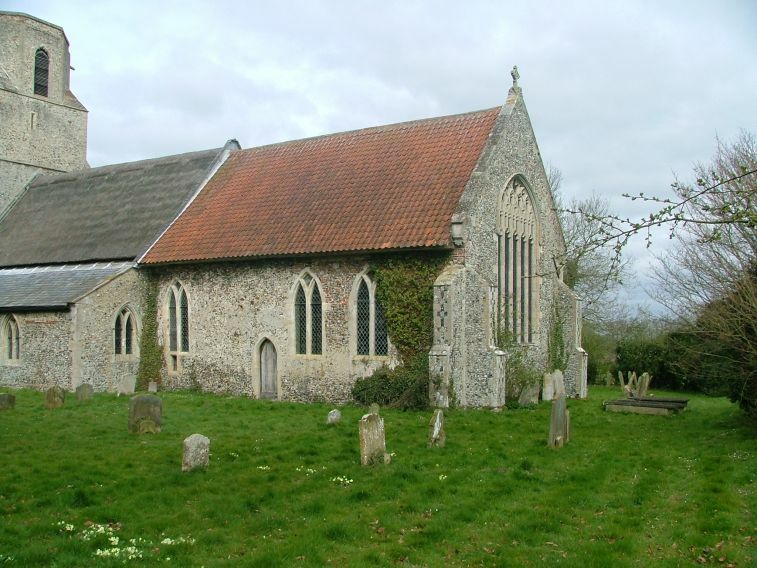 Pevsner, wisely, keeps his counsel and does not offer a solution. 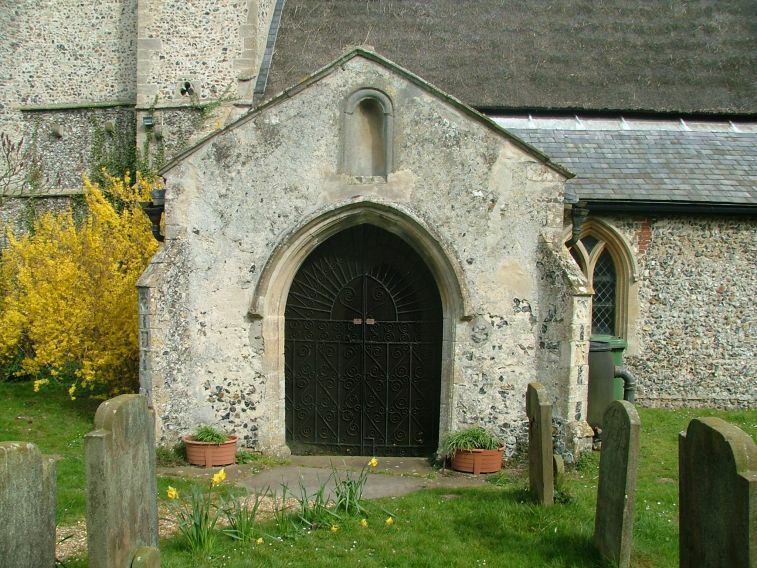 The answer may lie in understanding quite how an Easter Sepulchre was used. During the Holy Thursday liturgy, the host would be removed from the tabernacle and placed in a shrine set up especially for the purpose in the Easter Sepuchre. There it would remain until triumphantly brought back to the altar during the liturgy of the Easter Vigil. But what was the Sepulchre used for at other times? 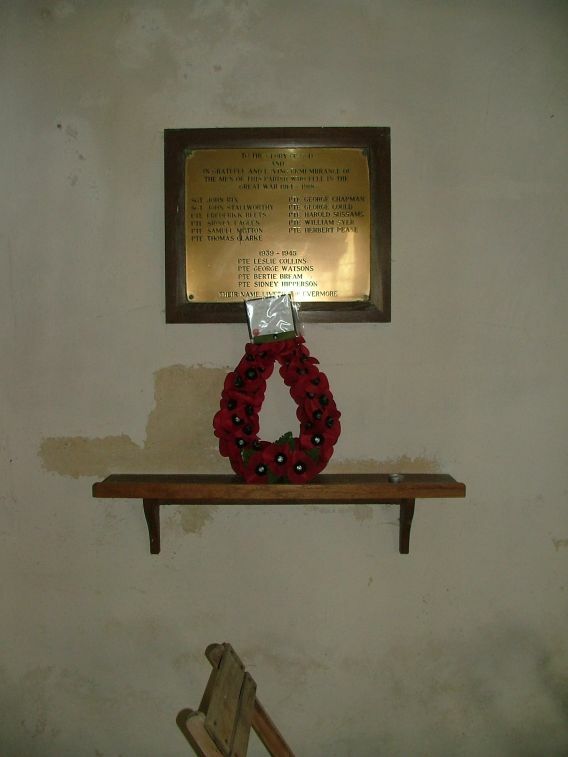 It was usually the tomb of an important local, who had paid for it specifically for this purpose. His effigy would be removed from the recess during Holy Week, and replaced after Easter. 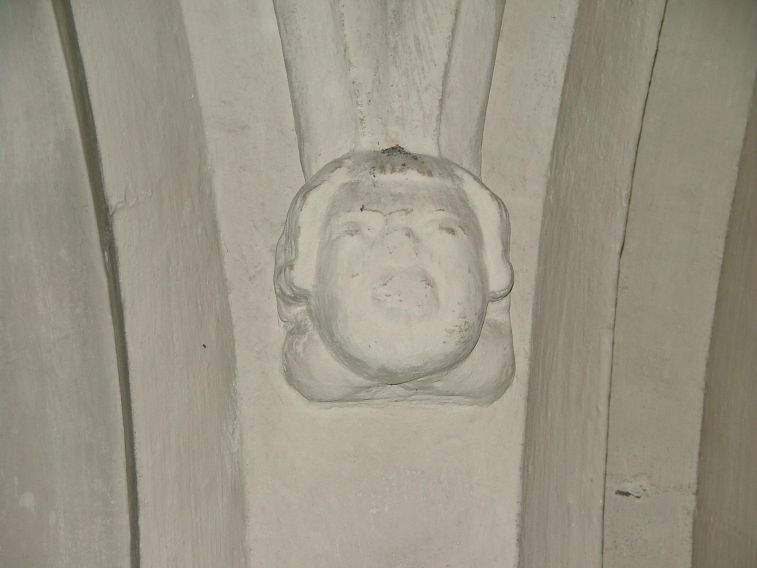 Most often, this would be a stone effigy, and its weight alone would normally keep it in place. 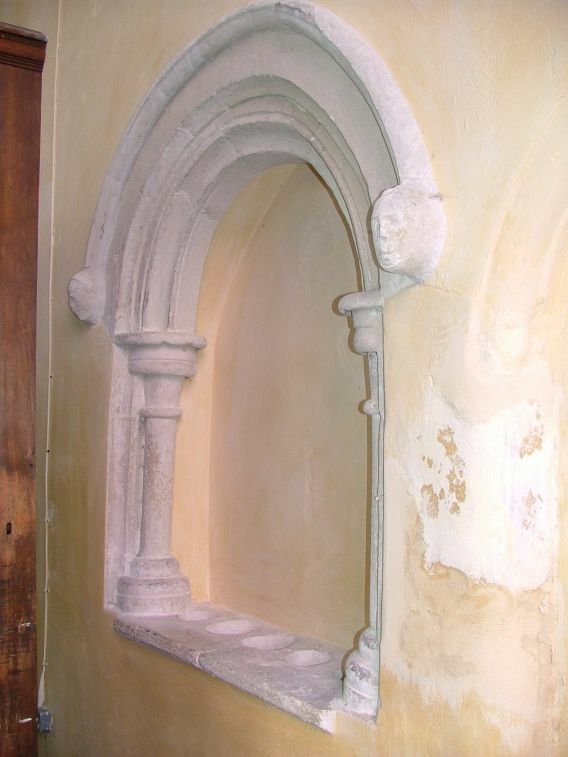 But a few effigies found in East Anglian churches are made from wood, and I would suggest that these five holes contained the fixings for a wooden effigy.